Osaka came to Funabashi Tobu department store this year, too ! 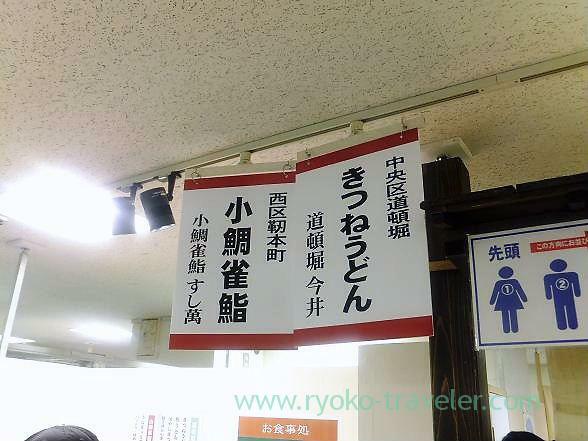 Osaka Local foods & items fair was held the 6th floor of Funabashi Tobu building. We went to Osaka this Spring. So, I knew some shops. And the most attracted us was …. We wanted to eat Imai’s delicious udon that we had eaten in Osaka. 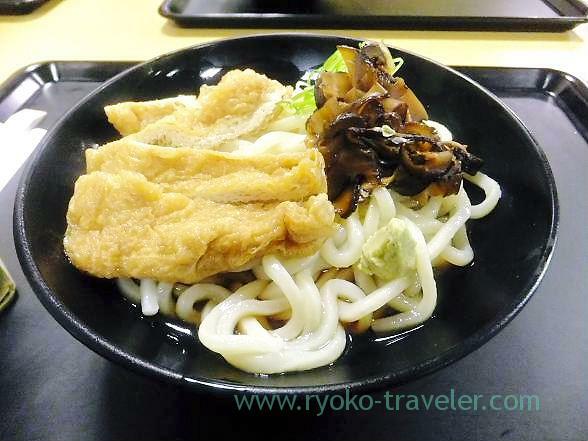 I felt so muggy that day, and I decided to order cold kitsune udon (冷たいきつねうどん, 735 yen). This noodle was curly and thinner than warm udon’s. Imai’s udon is splendid all the same. And this soy sauce flavored soup was light and not too sweet. Certainly, it was not same as one that we ate last time in Osaka. 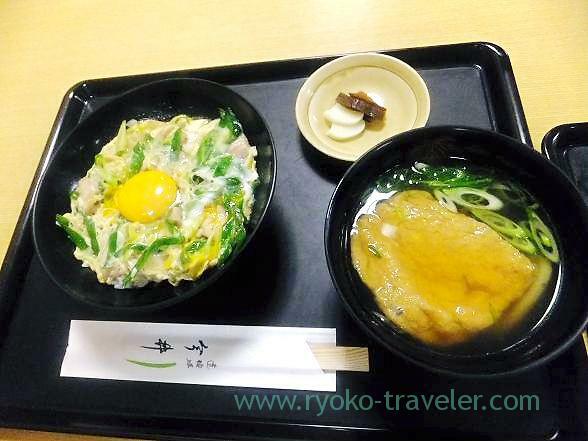 My friend ordered Oyakodon and small kitsune udon set (親子丼と小きつね, 1080 yen). It was smaller size for the event. 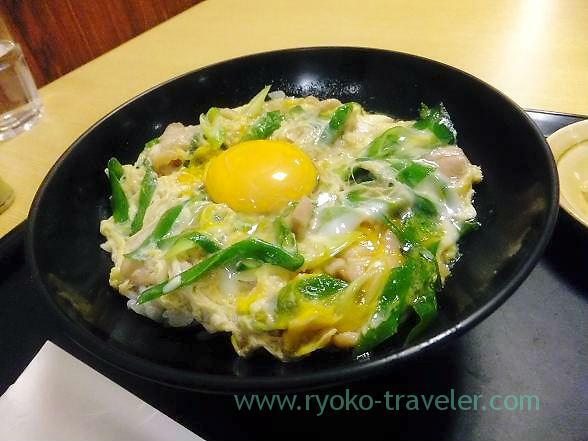 This oyakodon was smaller, so the the egg was completely cooked. I love half-boiled egg and when at Osaka, they served us oyakodon with half-boiled eggs. I learned that shops change their taste of foods in accordance with the taste of the place all the same. Well, we can eat local foods just on the spots ! 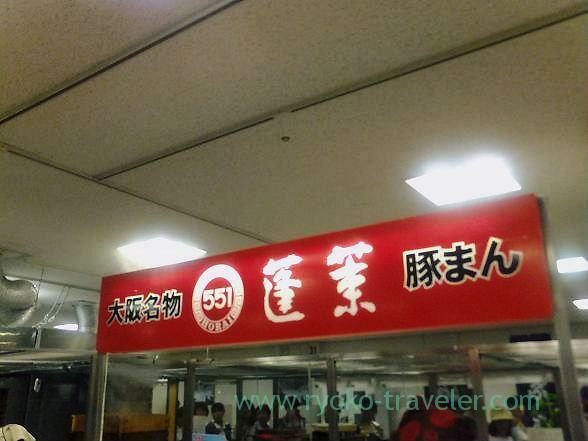 I bought at shrimp shumai (steamed meat dumplings) at 551 Horai for my night meal. 551 Horai have tremendous popularity. So, I had to wait 40 minutes to buy. By the way, Funabashi Tobu will hold Fukushima and Tochigi local fair for a week from this August 25th. Though Tochigi and Fukushima have lots of delicious foods, unfortunately my favorite foods will not come to this event.